This powerful yet easy-to-program (only 35 single word instructions) CMOS Flash-based 8-bit microcontroller packs Microchip’s powerful PIC® MCU architecture and features such as KeeLoq® compatible Cryptographic Module, PLVD, 2 comparators and 256 bytes of EEPROM data memory into an 14-pin package. This device is easily adapted for automotive, industrial, appliance or consumer product applications that require field re-programmability combined with authentication security. 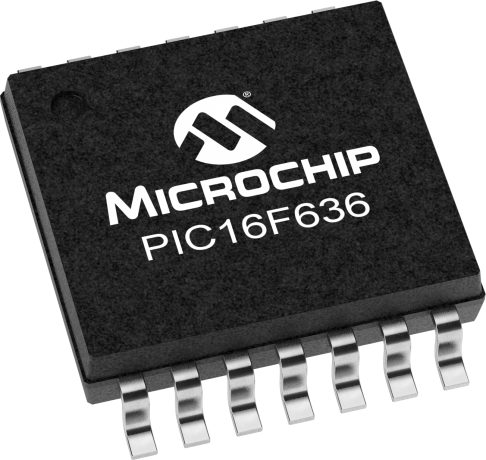 In addition, Microchip’s nanoWatt technology provides outstanding low power performance for optimizing battery powered applications.